A controversial Australian fundamentalist who considers the Earth is just 6,000 years old says his $100million replica of Noahs Ark was 'a mission from God'. 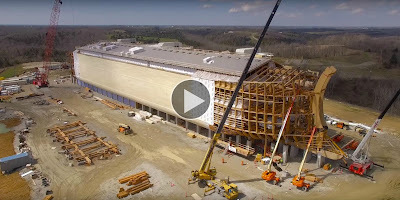 Queensland native Ken Ham, is the driving force behind 'Ark Encounter', a project set to open to the public in July 7, 2016 in the middle of Kentucky with other attractions to follow. The former Queensland school teacher is the founder and president of Answers in Genesis, an organisation who take the book of Genesis in the Bible literally. The ark structure is seven storeys high and is the biggest timber structure in the world, according to The West Australian. Please like and share. Many thanks for watching.